Refer to the PDF assembly sheet for details on component placements. 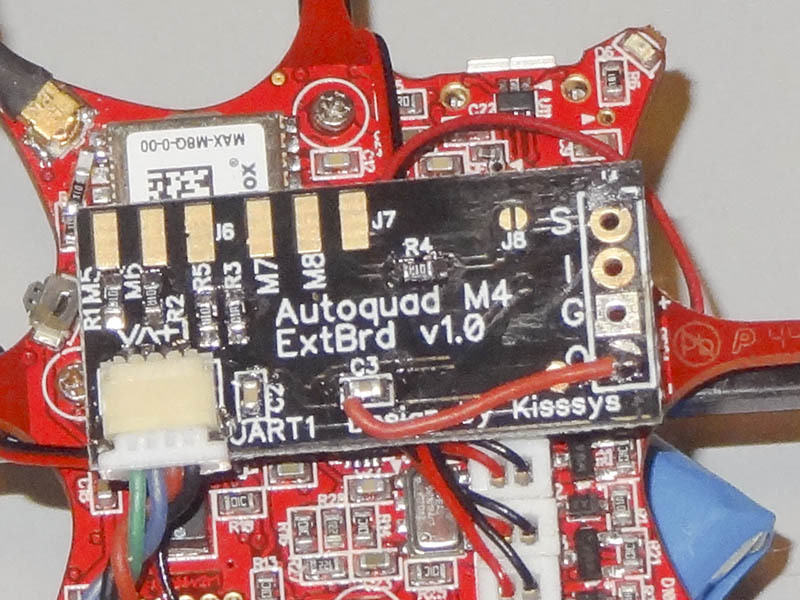 Make sure to line up the 10 pin 0.05″ headers correctly with the M4 board its beeing assembled for. 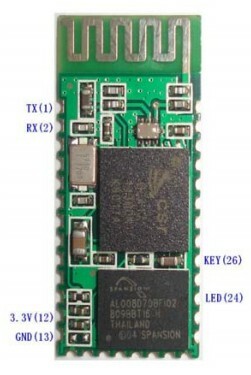 The board is designed to take a Polulu step up converter module to allow powering 5V (or 3.3V) peripherals from a 1S lipo. 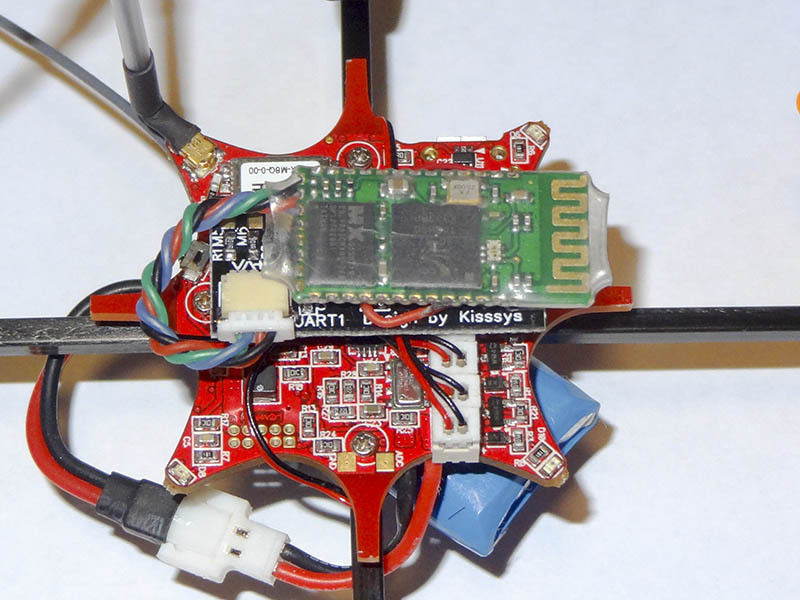 This can be handy for using telemetry modules, FPV gear or receivers that need 5V on 1S based crafts. The module outputs its voltage to the “O” pin on the expansion. 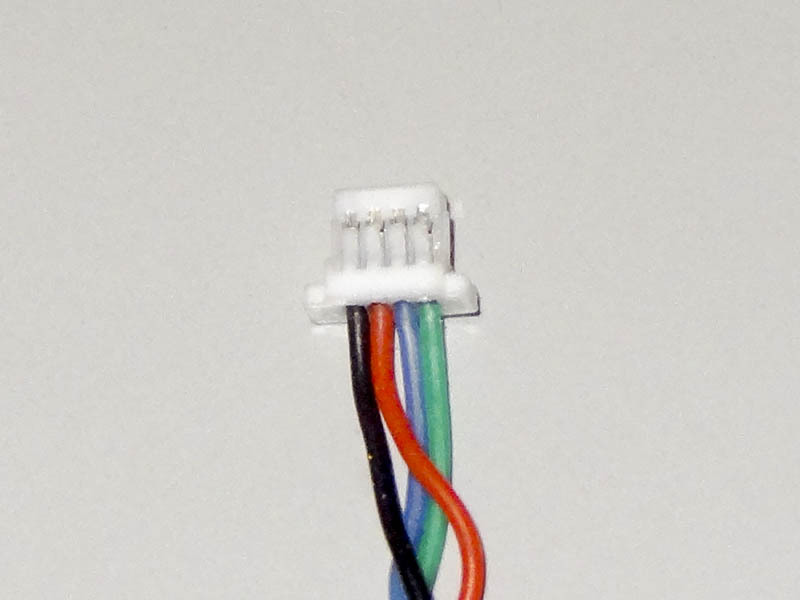 This pin then feeds the power pin on the UART connector. If you have a beta board (V1), this is the only way to power the UART port to run a Bluetooth module or other telemetry module. 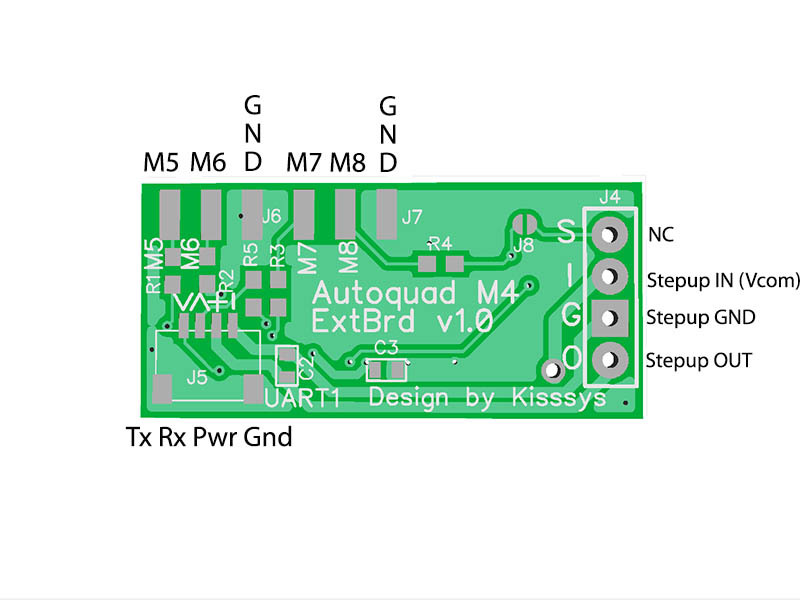 This method can only be used on the release (V2) boards. It allows to use the internal 3.3V Buck/boost converter on the V2 boards to power the UART port with 3.3V for something small like a BT module. !! !You can ONLY do this on a V2 board!! 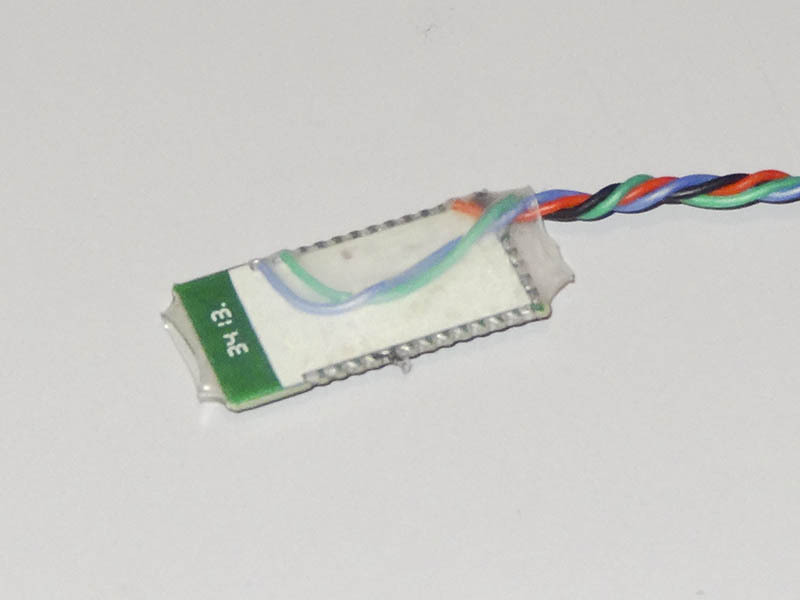 The JST-SH connector provides the UART1 connection from the M4. This is set up for Mavlink telemetry, so all you need to get wireless telemetry on M4 is to connect a 3.3V wireless serial interface. For really small builds, you can remove the module from the backplane (or buy one without a backplane) to get a very small and light telemetry option. Motor connections M5 thru M8 is broken out to two 0.1″ pitch headers. Note that there is ONLY the 4 PWM lines and 2 DGND connections available, so if connecting a servo to M5 thru M8, you need to powersupply it from another source. This page was created on 22-Dec-14 by jussi. Last modified on 29-Mar-15 by kinderkram.